travel with your pet! Pet Friendly Seattle! Travel with your Pet to Seattle, Washington! We want to help you bring your cat or dog on vacation to Seattle! Seattle takes care of you and your dog - and manages many many dog parks for the city of Seattle. This is the only city I have found that had so many dog parks managed by the city, and with great websites to help you. Please see our dog park map for Seattle, too. Please book a nice pet friendly hotel with us in Seattle. 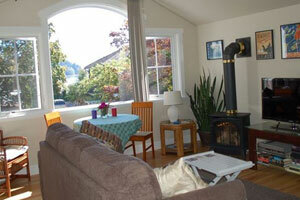 Or a great pet friendly by owner vacation rental in Seattle. New! wheelchair accessible, petfriendly, by owner rentals in Seattle. And don't miss the fun for you page -- there are so many things to do and places to in Seattle. How about a spa or beauty package? We have prepared some great pet friendly restaurants, great pet daycare and local vets for you as well. Pet Friendly Hotels in Seattle, Washington! See our selection! Hotel Max Seattle - BOOK IT! Pet Friendly By Owner Rentals in Seattle, Washington! See our selection! Water view carriage house - Quiet cove perfect for beach walks -1 BR/1BA, sleeps 2-ave nightly $103; Book it! VRBO-552061-- For small or older dogs, it is an ideal location. It is only .2 miles to a waterfront park with great walking for leashed dogs. $50 extra per dog per stay. Everything you need to feel like you are home while you travel: - Eagles, Harbor Seals, Blue Heron, and sometimes Orca Whales; - Views of Puget Sound;- Local beach access;- Bikes to borrow;- Great spot for touring Seattle or heading to hiking and beach sites;- Take in a sporting event at the stadiums without dealing with the noise and parking hassles of the city;- Seattle Water taxi is 5 miles from the carriage house. 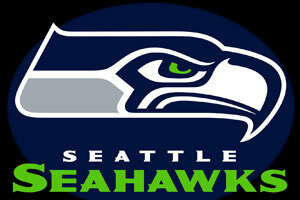 It drops you off in the Pioneer Square area and stadiums for the Mariners, Seahawks, and Sounders. and more pet friendly by owner rentals in Seattle! 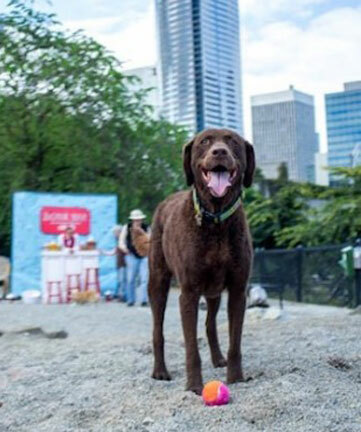 Pet Friendly Dog Parks in Seattle, Washington See our selection! and more dog parks in Seattle! Type "Seattle" and your dates! Best Western recognizes the ever growing needs for pet friendly accommodations. "We strive to offer our guests and their furry friends a comfortable stay and have done our best to ensure consistency at all of our pet friendly properties. There may be a maximum $20 per day charge for each room with a pet or multiple pets or a maximum per week charge of $100. A refundable damage deposit of up to $50 per stay may be required of all guests with a pet. Pet Friendly Restaurants in Seattle, Washington! See our selection! and more pet friendly restaurants in Seattle! Pet Day Care in Seattle, Washington! See our selection! and more pet daycare facilities in Seattle! Vets in Seattle, Washington! See our selection! Full service veterinary hospital, open 7 days a week, and offering same day appointments, independently-owned, with 7 vets on staff full-time. They realize that each pet and person has unique needs and the staff strives to provide personalized care that is comfortable for everyone. and more vets in Seattle! Having Fun in Seattle, Washington!! See our selection! The Ticket Network offers great tickets to amazing events in the Seattle area... Watch a football game at the famous CenturyLink Field! What is playing at the Paramount or 5th Avenue or Moore Theaters? Watch some Basketball at the CFE Arena. In any case, get your tickets! and more fun things to do in Seattle! How about a spa or beauty package? Leashed pups are safe pups. There are a lot of natural hazards out there - cliffs, sharp rocks, boulders, rivers and creeks to cross, wild animals. 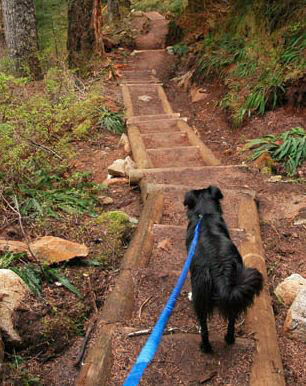 An off-leash dog is much more likely to be hurt off-leash than on-leash. Or get lost. It's a wild country out there and a dog can easily lose its way. and more tips about traveling with pets to Seattle! Spend some time on our videos page, which shows videos of pet travelers having a great time in Seattle. Our travel store can help outfit with the latest great products for your travels. Please take a look at our blog, and other cities we have done research on on our main map! Have a question? Post it! We will answer, and invite others to do so as well. This is a community! And thankyou for coming to our site! This is the www.petfriendlyseattle.com page of thewww.petfriendlynorthamerica.com global website.